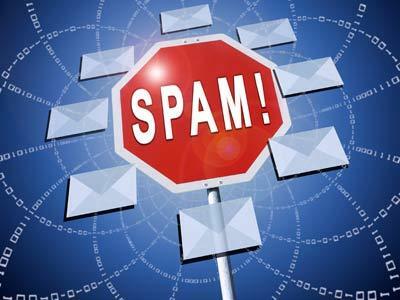 CASL is a new law that aims to crack down on unwanted spam messages. This law requires all businesses that are selling or promoting products or services through commercial electronic messages (CEM) to prove they have consent to reach out to new, existing and potential customers. Unless an appropriate exemption is found, an individual or organization needs the consent of the recipient before sending a CEM. Consent can be expressed or, in limited circumstances, implied. The purpose of the new law is also to reduce spam and viruses and increase consumer confidence in e-commerce. 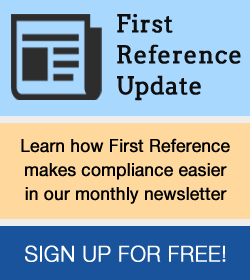 In addition, all electronic marketing messages will need to clearly and prominently identify the sender and receiver of the CEM, include the sender’s contact information and provide an unsubscribe mechanism, unless fully exempted from the Act. It also requires businesses/individuals to enable opt out from some or all commercial electronic messages within 10 business days. Businesses and individuals have a three year grace period after July 1, 2014, to verify and confirm consent to send CEM, but can still only communicate with recipients they have existing business relationships with. Developing a checklist and process to review/revise contracts with third parties to require compliance with CASL should be established. The organization should also ensure marketing lists from third party providers contain “representation & warranty” that the list will be maintained in compliance with CASL. In addition, ensure outsourced digital marketing company contracts are CASL compliant. The Bulletin provides illustrative examples concerning how each of these elements may vary depending upon the size of the organization. This requires well thought out organizational tools, from simple spreadsheets, access database to complex data management systems and software, depending on the company’s budget, people and systems to enter and manage the data, and a coordinated internal communications plan. As a result, you need to get your IT department on board or obtain the services of CASL experts to work on developing the systems and internal controls you need to implement your CASL compliance program, policies and procedures. Your sales and marketing department should also be involved because they will be able to provide guidance on your communication practices and will have to implement the program along with the IT department. When implementing the program you need to remember that CASL applies to all employees in an organization who send commercial electronic messages (CEMs) on behalf of your organization. CASL is not limited to your sales and marketing departments. This means there should be a method for everyone to check recipient lists against databases when sending CEMs. Non-compliance must be taken seriously. A disciplinary code should include CASL violations. Escalating discipline from refresher training to other more serious action should be included for non-compliance. The CRTC recommends retaining records of contraventions and the response. Thus, all the above mechanism, processes, systems, policies, procedures, training and operational controls need to be documented by your IT department for use by all employees. IT should also establish forms and checklists to ensure all CEMs the company sends comply with formalities and that unsubscribe requests are implemented without delay, according to the law, within 10 days. Information can be suppressed but never deleted. The cost of not complying is steep and includes administrative monetary penalties of up to $10 million for a company; fines of $1 million per day and $1 million per violation; risk of class-action lawsuits against companies; reputational and operational risks. In addition, a private right of action will come into force as of July 1, 2017 to give persons who have been affected by a contravention of CASL a right to bring an action for damages and a statutory penalty of $200 per offence. CASL specifically extends liability to the officers, directors and agents of a corporation that contravenes CASL if they directed, authorized, assented to, acquiesced in or participated in the contravention. However, no person is liable for a violation under CASL where they establish that they exercised due diligence to prevent the commission of the violation. Under CASL, organizations that claim they have the consents required by CASL bear the burden of proving this. So make sure you have your compliance program in place and that it is well planned, executed and documented to provide the basis for a future due diligence defence, if one ever becomes necessary. Zero minus 24 hours – the importance of a CASL compliance policy When should data be encrypted?